Nobody ever said being a cop was easy, and the job is even harder when deranged gunmen fire on you. This was the case in Brighton yesterday when police arrived on the scene after an old man was wounded (and later died) of a gunshot wound. Police responded to the scene only to be fired upon, and took up defensive position while they waited for a SWAT Team to arrive. 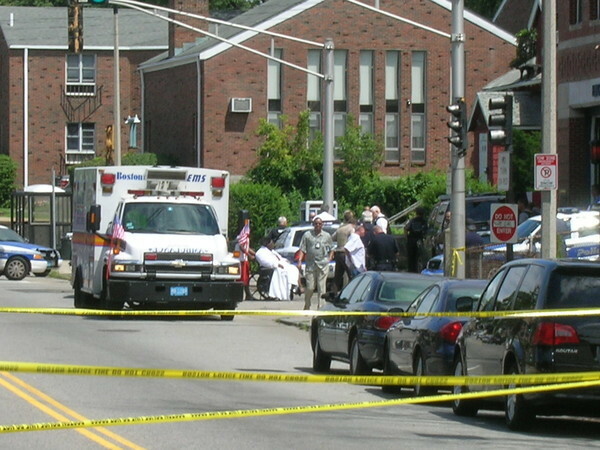 I was waiting for a bus when I saw an army of police cars drive by, which encouraged me to tune in to the Boston Police Department’s radio frequency, at which point I heard that SWAT and a negotiator were en route to a location two blocks from me. On the way to the site of the shooting, I got on the line with an editor from AOL’s Patch.com who expressed interest in my pending coverage and I showed up ready to report on the scene while gathering media. Said media is linked here. 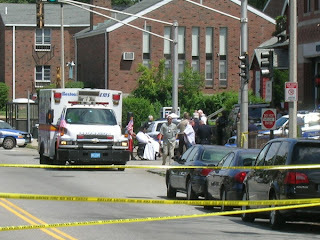 Although the shooting victim died, no police officers were harmed subduing the shooter. Unfortunately the shooter made it out of the situation without a scratch. The BPD is currently offering no information on the shooter or his victim aside from their ages. Big props to the BPD for operating in a way that was nothing less than professional.